Certify that your pet is free of external parasites and signs of transmissible disease. Accompany your pet to Hawaii (do not submit the health certificate ahead of time to Hawaii’s Department of Agriculture). Please ignore the rest of the instructions below, as they do not pertain to pets coming from exempt countries. 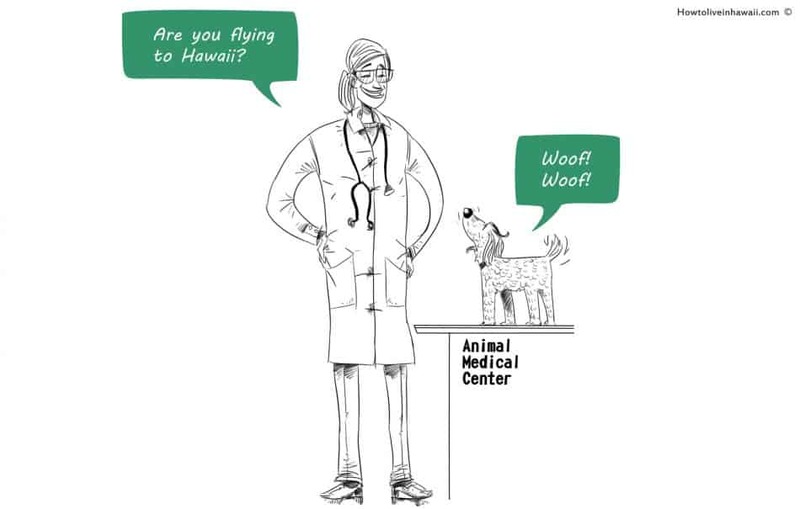 However, if you’re planning to submit your paperwork beforehand (without the health certificate) and bring the health certificate with you on the flight to Hawaii, then you can visit the veterinarian anytime within 14 days of your arrival in Hawaii. When you call to schedule the veterinarian appointment, you may also want to ask if you can take a copy of your pet’s medical file home with you after the appointment, since it will probably be the last time your pet visits that veterinary office. Vaccination certificates (2 for each pet, except for guide dogs and service dogs, which need only 1): You should have gotten these certificates during Step 2. Bringing them along will ensure that your veterinarian fills out the health form and writes up the health certificate with the correct information. Have you vet fill out and sign a health form (mentioned above) for each of your pets. Have your veterinarian clip your pet’s nails (as a safety precaution for your pet’s upcoming air travel). 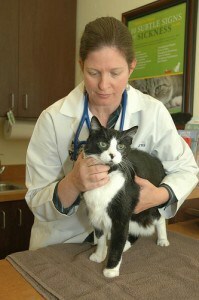 Discuss any pet-anxiety concerns you have with your veterinarian. Most airlines and the Humane Society of the United States do not recommend tranquilizing pets during air travel. But if you feel your pet may be a special case, now is the time to talk it over with your veterinarian, in case you need to get a prescription before moving day. Pick up a copy of your pet’s medical file (if you made previous arrangements to do so). Make a photocopy of the completed health form and health certificate for your records. In Part I of the Dog & Cat Import Form, under “DOCUMENTS SUBMITTING,” check off the “HEALTH CERT.” box. You have to apply for a permit so the salamanders or newts can enter the state of Hawaii. Fill out the first page of the permit application. At the top of the first page, put “71″ for the Chapter number. On the second page, you can skip parts 1-5 (that’s for restricted animals only). Just sign and date the bottom of the second page. The permit fee for a one-time shipment is $20. If you have any questions, call Hawaii’s Plant Quarantine Department (they also handle non-domesticated animals) at (808) 832-0566 or (808) 837-8413.